The New Jersey State Board of Nursing aims at protecting the safety and health of the public by providing exceptional customer service, proficient and well-organized nursing practice, and effective public policy, issues the license in the state. Registered Nurse Certification in New Jersey enhances the knowledge and skills in its nurses to promote health and the prevent diseases, thus helping patients to cope up with their recuperation process. Attach a recent (taken within the last six months) 2”x 2” full-face, clear passport-type photograph which includes your name printed on the backside of the photo. Completed certification and authorization form. Successfully cleared the criminal background check. Passed the licensure exam, NCLEX-RN (National Council Licensure Examination for Registered Nurse). Completed graduation from a nursing school approved by the Board. Request your nursing school to send a signed and sealed “Official Letter of Program Completion”, directly to the Board of Nursing office. Refer point number I-V mentioned above (In requirements for acquiring RN licensure by examination for applicants graduated in the United States). These requirements are same as point number I-III mentioned above (Refer requirements for acquiring RN licensure by examination for applicants graduated in the United States). Submit the completed notarized application (if you are applying by paper application). Provide the completed MorphoTrust universal form and provide a fee of $62.75 by personal check or money order made payable to the MorphoTrust. If applicable, submit 2 fingerprints card (1 black-New Jersey and 1 blue-FBI). Provide application fee of $200 by money order or personal check made payable to the “New Jersey Board of Nursing”. Submit verification of your licensure from the state, in which you were initially licensed, or are currently working, and from all other states where you have held your license. If the state is not mentioned on this website – www.nursys.com ,then, verification must be sent directly from the appropriate state to the New Jersey State Board of Nursing. By mail – If you wish to mail your application, provide your completed application form with the required testing fee of $200. Mail both the application and the fees. After the approval of your application by the Board, an Authorization to Test (ATT) will be received from the testing service. After receiving the ATT, schedule and appear for the exam. If you are presently residing, working or attending school in 10 or more miles beyond the borders of New Jersey, you may use manual fingerprint cards to satisfy the fingerprinting requirement by the Board. You need to enter your personal information in the following link for the Board to quicken the RN Endorsement process for you. Until you complete the details of your application form, the Board will send you all the required details necessary in the process for the fingerprinting portion of the criminal history background check. Upon approval of all the documents by the Board, an RN license will be issued. After opening the above link, you will witness two options – business and person. Business license is generally available for home improvement contractors; pharmacies; accountancy firms; cosmetology and hairstyling shops; funeral homes; barber shops; cemeteries; electrical contractor businesses; manicuring shops; skin care speciality shops; architects and engineers certificates of authorization; and public movers and warehouse men. All RN licenses need renewal in every 2 years. The candidates are required to complete 30 hours of continuing education in the specified period (i.e. two years). Social Security Number – insert it without using numbers and hyphens. User ID number (i.e. your 12-digit license number). Password (i.e. your My License Code). Click on the LOGON Button after entering the above information. If your license is lost, destroyed, misplaced, stolen, or never received, you may apply for a duplicate license. Submit the fee in the form of money order or check made payable to the “State of New Jersey”. Attach a recent passport-type photograph on the application form. Provide certification and authorization for a criminal history background check. Provide a Certification of Employment with your signature and date indicating whether you were continuing your nursing practice, during the period when your license was at inactive status. It must also include the name, contact number, and address of every employer under whom you were continuing your practice. If you were practicing within the period of inactivity, you need to provide a complete description of the type of work or projects, in which you were engaged. The applicant must meet all the requirements for reactivation, if s/he is applying after more than 5 years of the expiry date of their license. 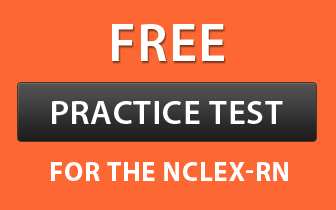 They are required to pass the licensure exam for registered nurse, NCLEX-RN. Provide proof of completion of a state approved refresher course which must include 30 hours of clinical and didactic education supervised by a professional instructor. Submit the completed application with the required fee and documents to the Board office address mentioned on the reactivation form. Refer point number 3-7 of the requirements mentioned for reactivation.